Zonta International is a global service organisation of executives and professionals working together to empower women through service and advocacy. Members undertake fundraising, advocacy and hands on service roles to further the objectives of Zonta International, making a difference at a global and local level. Zonta was founded on the 8th November 1919 in Buffalo, New York, USA. 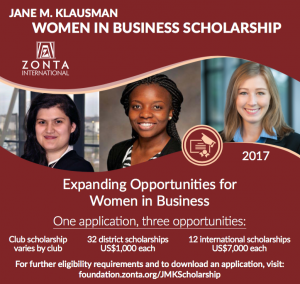 Zonta took its name from a Sioux Indian word meaning ‘honest and trustworthy’. The Zonta emblem is a composite of Sioux Indian symbols. The meeting to present the club charter was held on 24 May 1966, with 22 charter members. In August 2004, to reflect the transfer of the remaining members of the Zonta Club of Melbourne Yarra to the Club, the Club name was changed to the Zonta Club of Melbourne on Yarra Inc. We are the oldest Zonta Club in Australia.